First of all, thanks to everyone who has pledged support and sent your donations in time for me to file my papers to run for Marin County Supervisor in the Fourth District. Happy to report that I filed yesterday, with a few hours to spare! This is a true grassroots effort and I'm very grateful for your support. I'm feeling very inspired as I reacquaint myself with the Marin non-profit sector. As most of may already know, this is my heart's work - to leverage my skills for good. 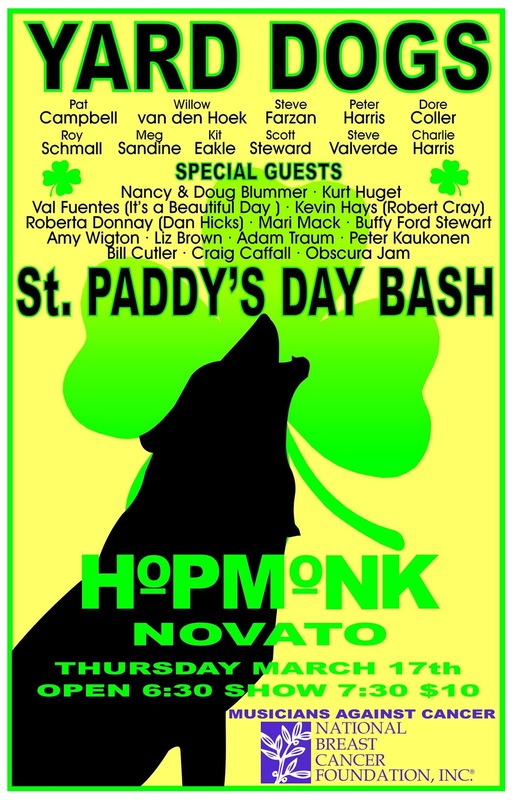 On that subject, I will be leveraging my musical skills tonight, with Musicians Against Cancer at the Hopmonk Tavern Novato - proceeds to benefit the National Breast Cancer Foundation. 1 in 8 women will be diagnosed with breast cancer in their lifetime. 232,000 were diagnosed in 2015. 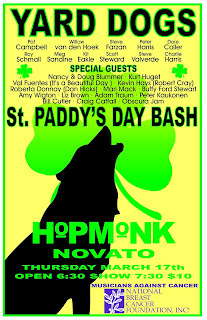 If you are in the Novato area, please join us - we will be celebrating life the best way I know how - with friends and music! btw: I went to a MWPAC fundraising class a few hours after I filed my papers and apparently, the average Supervisor campaign costs $150,000... So, please keep those cards and letters coming! Let's make some positive change that makes sense - together! Thanks!